Paul Abbott’s critically-lauded police procedural drama No Offence has been recommissioned for a second series by Channel 4. 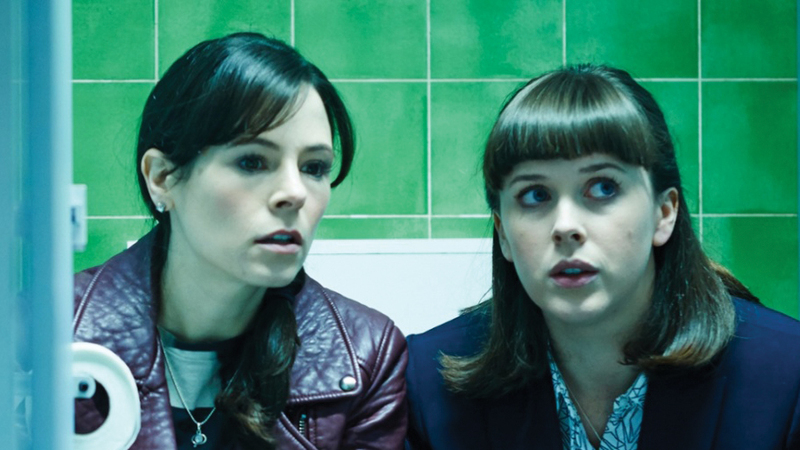 Outspoken, out of line and often out of order, DI Vivienne Deering (Joanna Scanlan), DC Dinah Kowalska (Elaine Cassidy) and DS Joy Freers ( Alexandra Roach) will return for eight brand new episodes to strike fear in the hearts of wrong doers and superiors alike. Filming starts in Manchester in early 2016. Joining our dynamic trio will be our gobby, crusading Friday Street regulars, featuring an ensemble cast of Will Mellor, Paul Ritter, Colin Salmon, Ste Johnston, Tom Varey, Neet Mohan, Saira Choudhry and Charlie May-Clark. In Paul Abbott’s unflinching hands, this fast paced, taboo-busting drama series will continue to explore the underbelly of Manchester, delivering chilling and moving storylines, set against the lively crime landscape surrounding Friday Street Station. The new series will see the team investigating a whole new case, involving warring crime families and will see Deering come up against her toughest adversary yet – a woman who is pretty much her mirror image, in her brains, ingenuity and determination, except she’s on the other side of the law! Paul Abbott will continue to write on the series at his Writers’ Studio alongside Paul Tomalin, Mark Greig and Jimmy Dowdall. The first series of No Offence launched on Channel 4 on Monday 5th May 2015 attracting a series average to date of 2.5 million viewers and 10.4% of the audience – up 47% compared with the slot average. The series one finale airs on Tuesday 23rd June at 9pm. No Offence is commissioned by Piers Wenger Channel 4 Head of Drama, with Roberto Troni and Beth Willis Commissioning Editors. Executive producers are Paul Abbott and Martin Carr. The new series of No Offence will be a further eight x 60 minute episodes. I Had a walk on in the first No Offence episode 6 time 12.24. (sleepy man). I thought the series was great, If there are any opportunity's to audition for anything in series 2, I would really welcome the chance, I'm 72 active and can play grumpy, nasty, vicious, happy, funny. with a casting agent (Gadbury Casting).